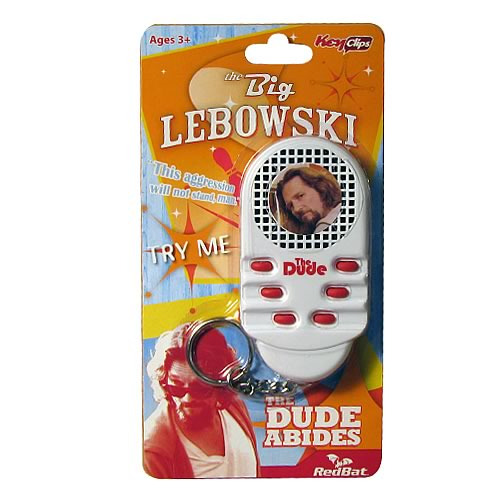 Shopping for Big Lebowski Key Chains? Take The Dude wherever you go! This item voices the best lines from the movie! "Nobody calls me Lebowski. You got the wrong guy. I'm The Dude, man." "Yeah, well... you know, that's just your opinion, man." "Hey, careful, man. There's a beverage here."